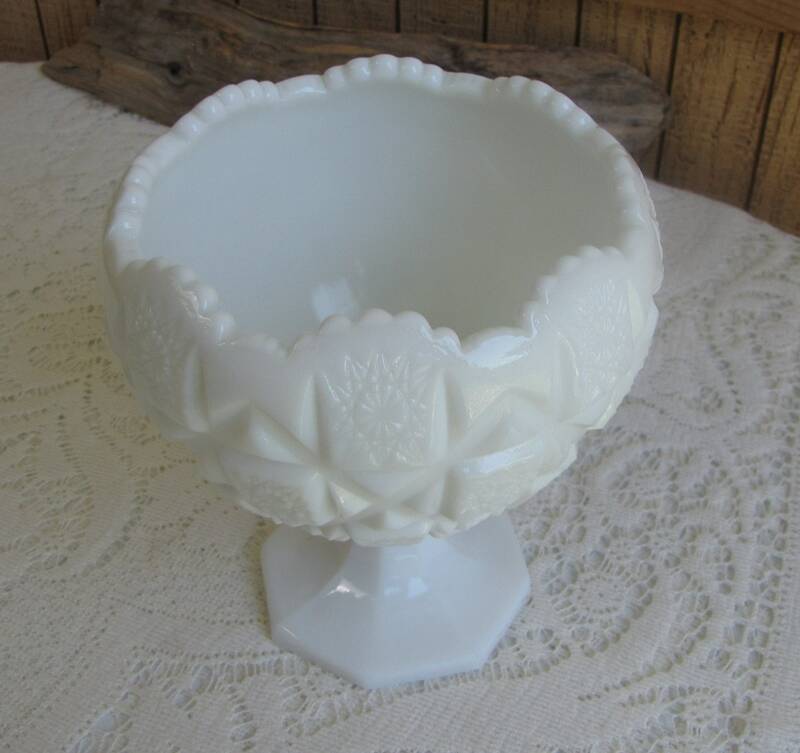 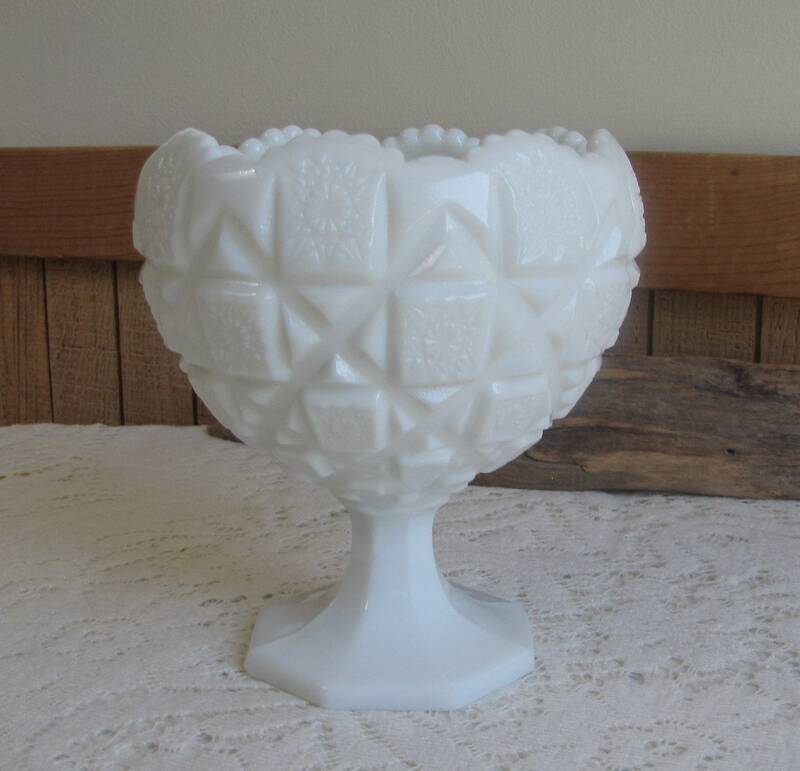 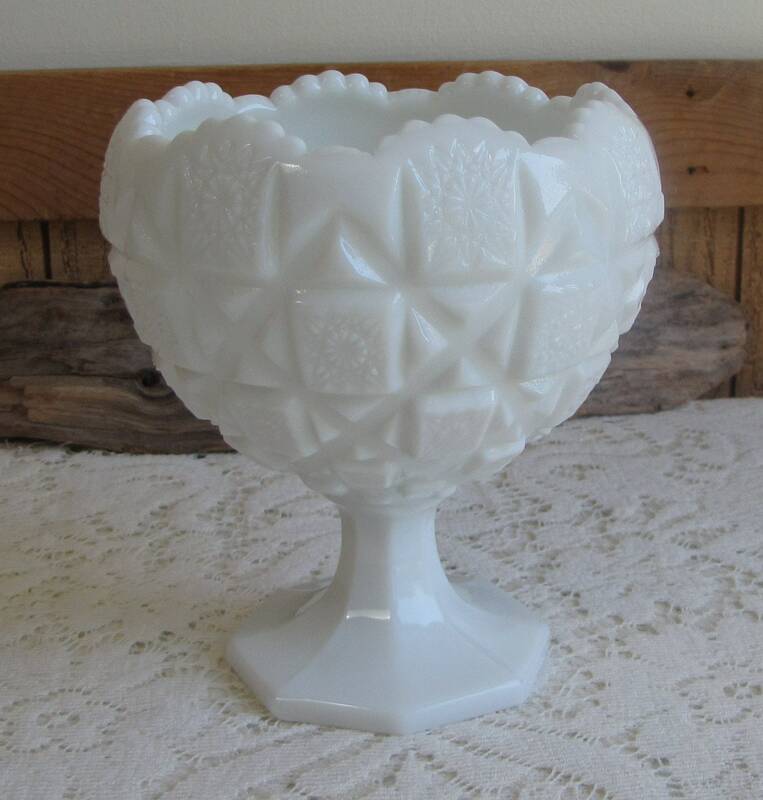 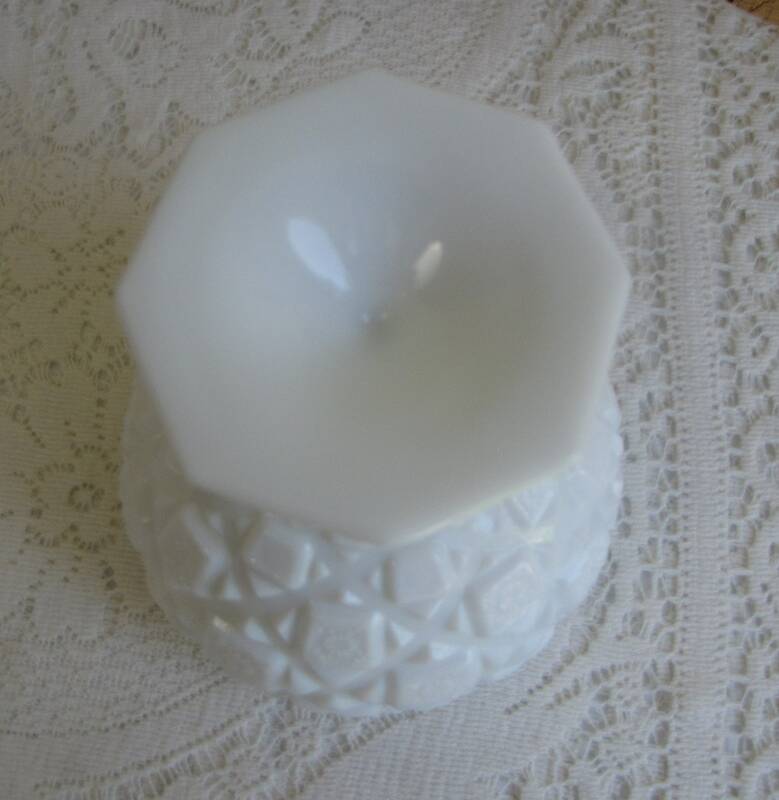 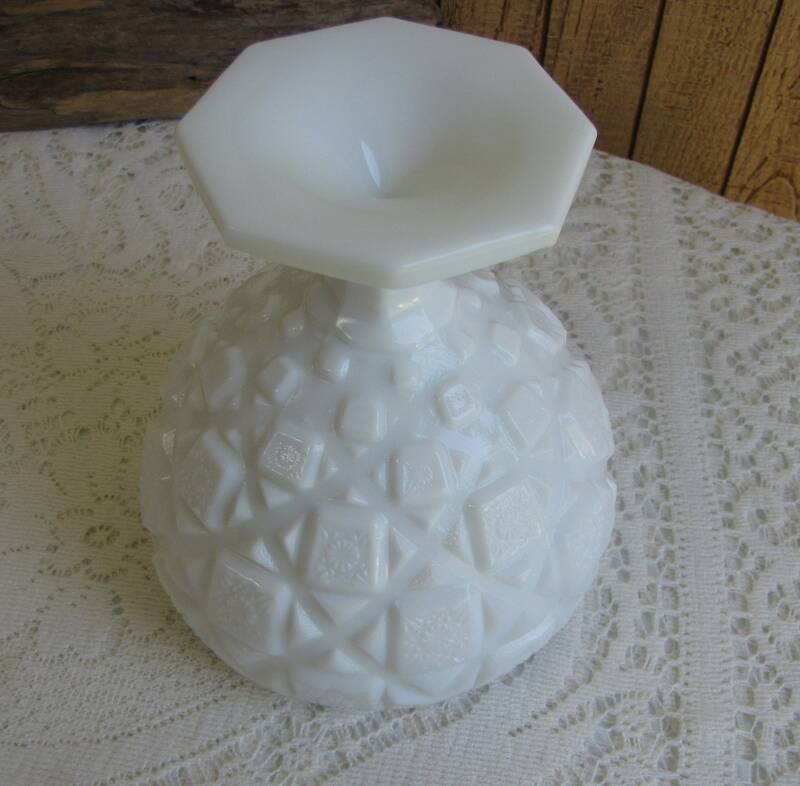 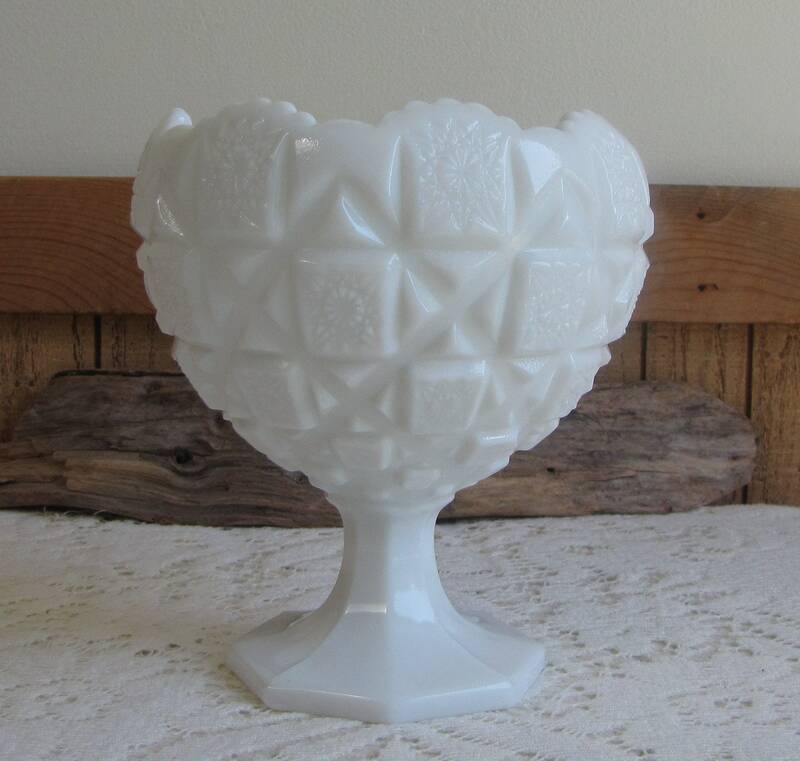 A lovely milk glass compote made by Westmoreland Glass in their Old Quilt pattern. 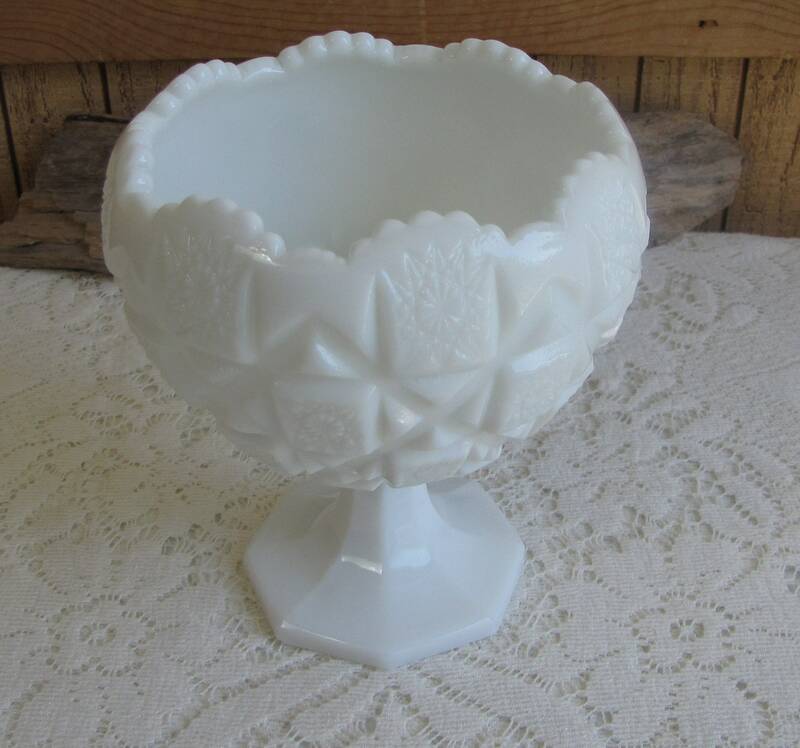 The cupped compote is in very good vintage condition with no chips or cracks; hardly a mark on it. 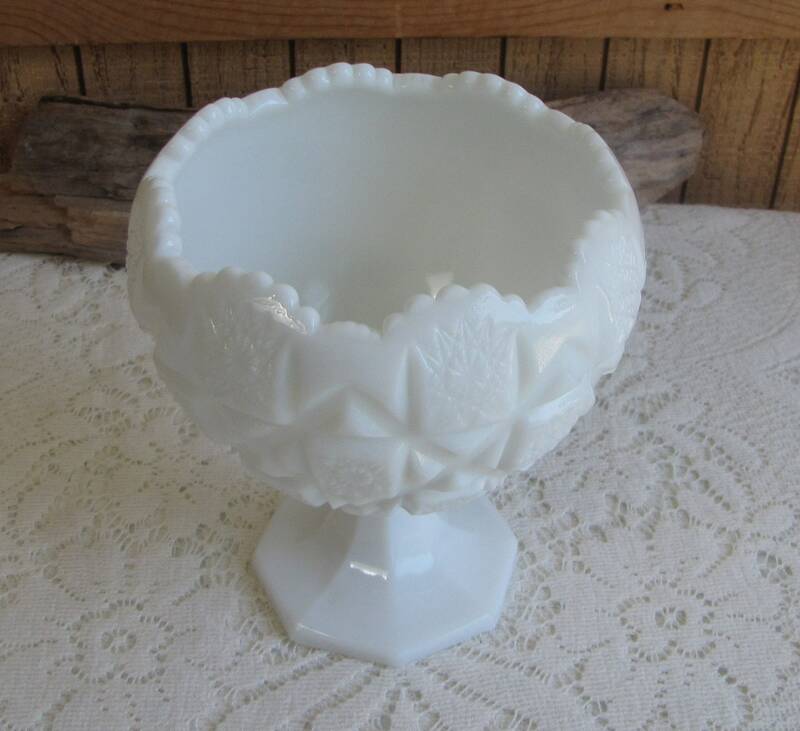 The white bowl measures 6.25 inches tall and is 5 inches in diameter. 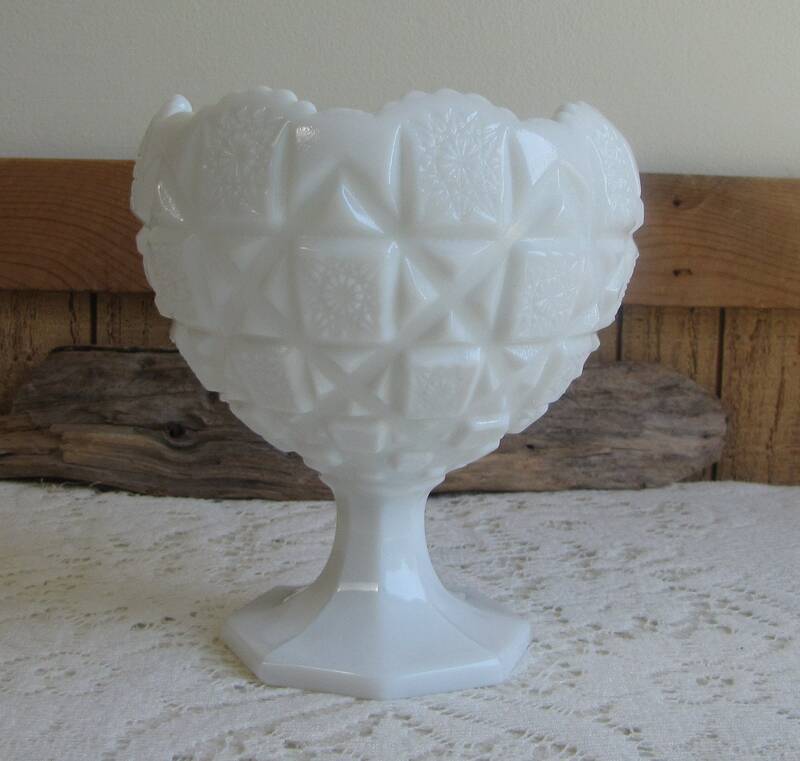 In 1889 a group of investors founded the Westmoreland Glass Company of Grapeville, PA. 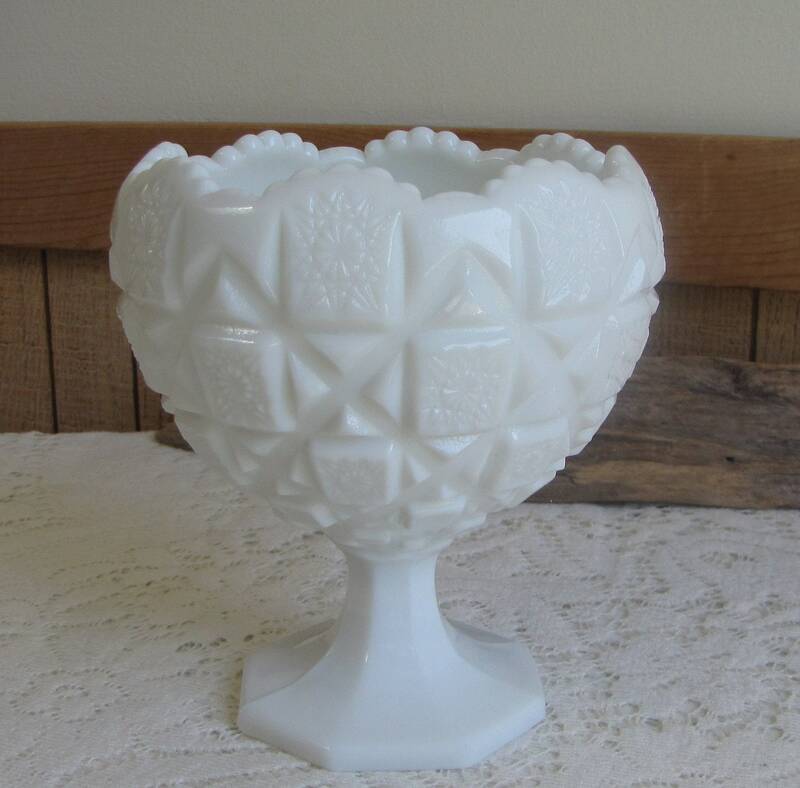 The company has a 100 year history closing in 1984.